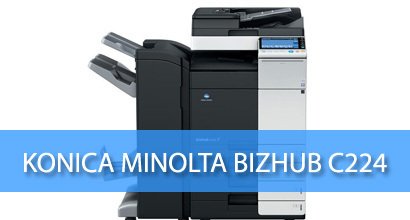 The Konica Minolta Bizhub C224multifunction printer, copier, scanner, and fax machine works smarter. It boasts superior quality high-resolution prints and copies at up to 22 pages per minute for added productivity. The optional single-pass dual scanning can handle scanning up to 160 originals in a minute. The Konica Minolta Bizhub C224 comes with a wealth of finishing options for creating up to 80-page booklets, 50-sheet stapling, and hole punching to satisfy all business project needs. The high-speed MFP performance of this Konica Minolta model is specially designed for high-volume document traffic with capability of producing 100,000 pages each month. 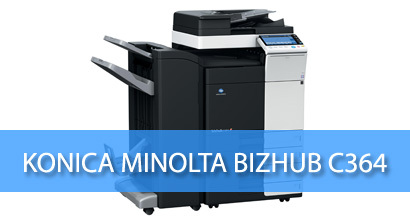 The Konica Minolta Bizhub C284 outputs at 28 pages per minute in color or black and white, while the built-in Emperon print control system provides cross-platform productivity. 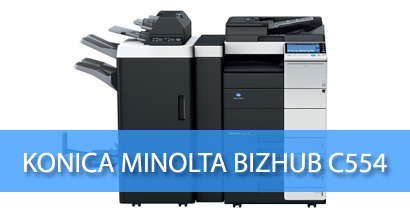 The Konica Minolta Bizhub C284 printers from Arizona Copier company also are equipped with Simitri HD toners that reduce business’ energy use and environmental impact. With its lightning-fast ability to print high-resolution documents in 36 pages per minute in color or black and white, the Konica Minolta Bizhub C364 laser multifunction printer helps business stay ahead of the competition. High-speed Super G3 fax machine, built-in print control system and large 9-inch touch screen color display panel allow simplicity to use. 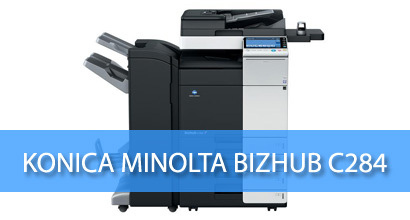 The Konica Minolta Bizhub C364 puts a multitude of information and downloadable apps right at the fingertips. One of the local favorites at Arizona Copier, the advanced technology of the Konica Minolta Bizhub C454 allows an astonishing 45 pages per minute printing, 150,000 page monthly volume, and 6,650-sheet paper capacity for paper sizes up to 12” x 18.” The fiery image controller gives users advanced color management functions to create high-quality graphics. The Konica Minolta Bizhub C454 is outfitted with Bizhub Secure for restricted security access to the copier with an internal magnetic stripe card reader. A multifunction printer like no other, the Konica Minolta Bizhub C554 handles printing with ease at 55 pages per minute for both color and black and white output. The innovative info-palette of the Konica Minolta Bizhub C554 design of the easy to use color display allows seamless integration with third-party software to optimize business productivity. This leading high-tech Konica Minolta model includes unique features, including multi-position stapling, sorting, Z-fold patterns, and a job separator tray. 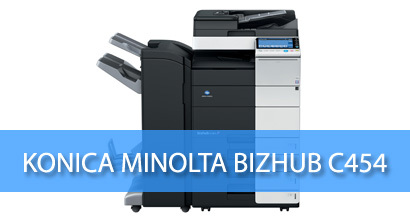 For high-speed output, high-volume productivity, and powerful finishing options, the Konica Minolta Bizhub 654 is the top choice. It boasts 60 pages per minute in brilliant color or 65 pages in cost-effective black and white. 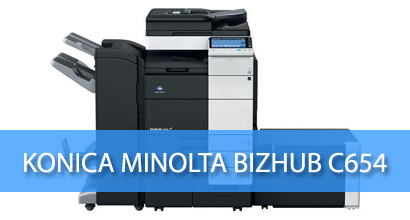 Konica Minolta Bizhub 654 is outfitted with cutting-edge features like tab printing support, downloadable applications, cross-platform productivity, and biometric authentication for security. There is nothing this machine cannot handle with its high-speed fax transmission, advanced color controller, large paper capacity, and award-winning touch display control.